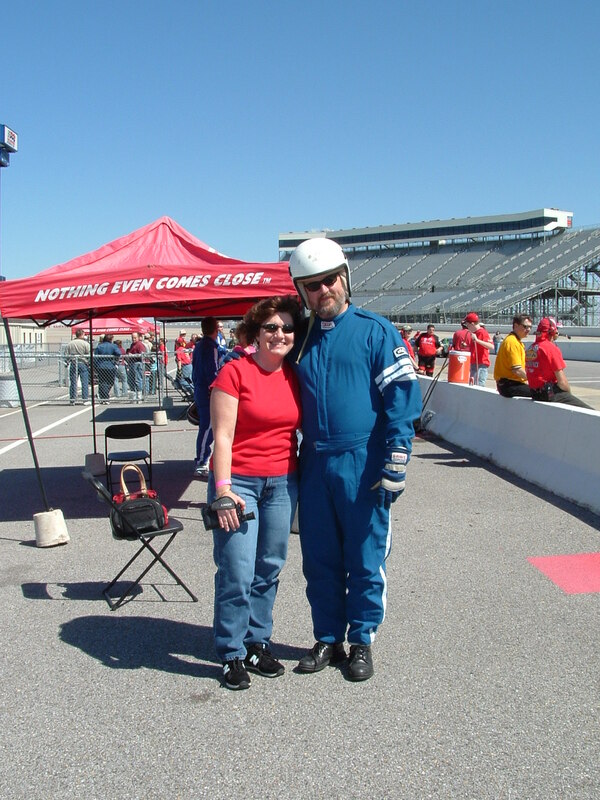 My lovely bride Sheryl gave me this 30 lap driving experience for Christmas. I could not wait till March 12th to get in this car and DRIVE!! 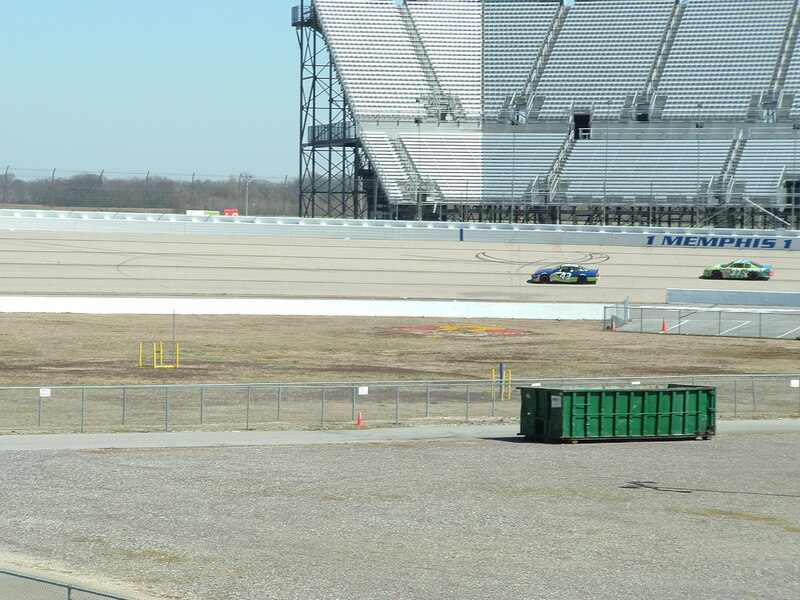 working and could not attend, but experienced the excitement over the phone. 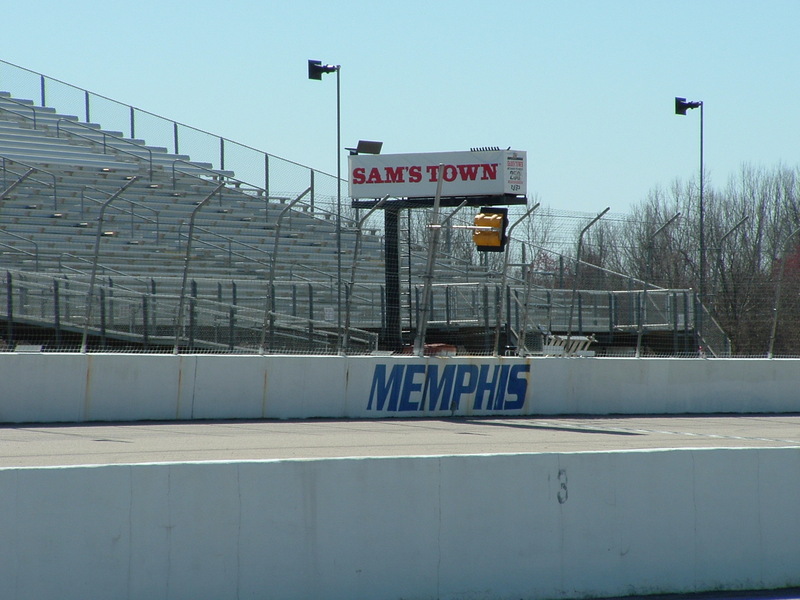 My thanks to three people for providing the memories you are viewing on this page. 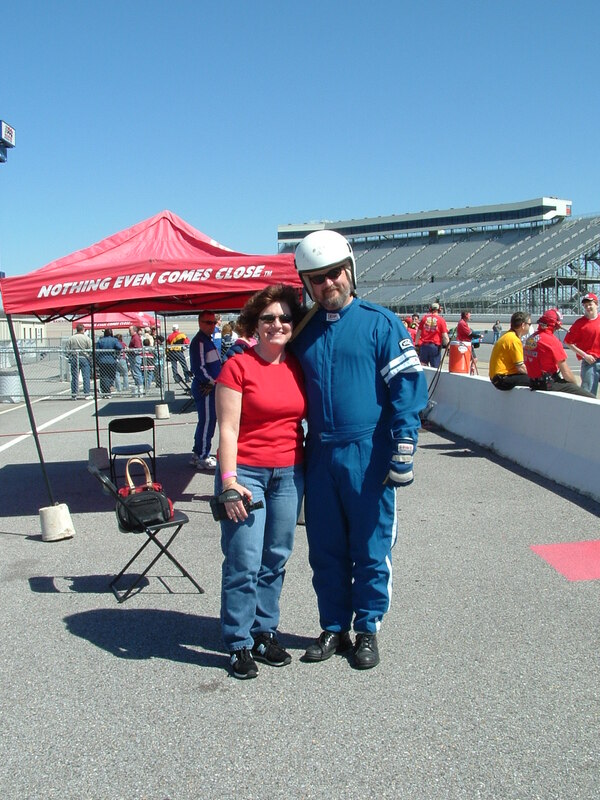 My lovely bride Sheryl not only surprised me with this wonderful gift, but she also video taped the event so I could re-experience it as often as I would like. 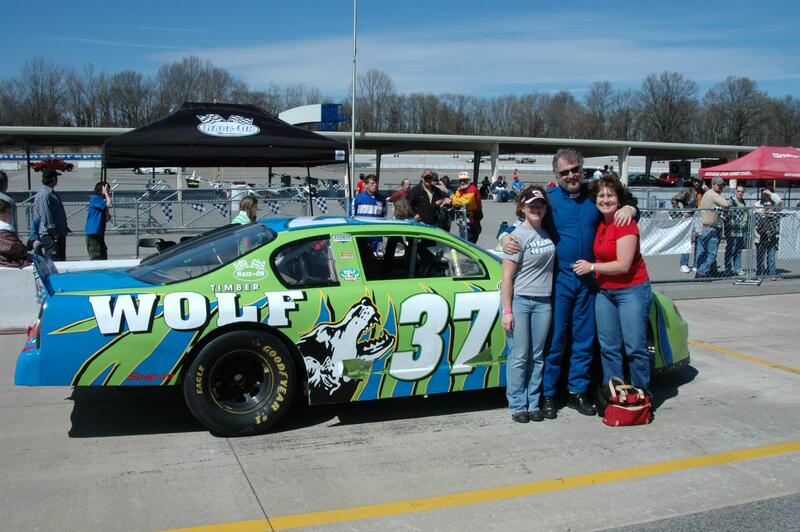 Thanks also to to our daughter, Shaunna. 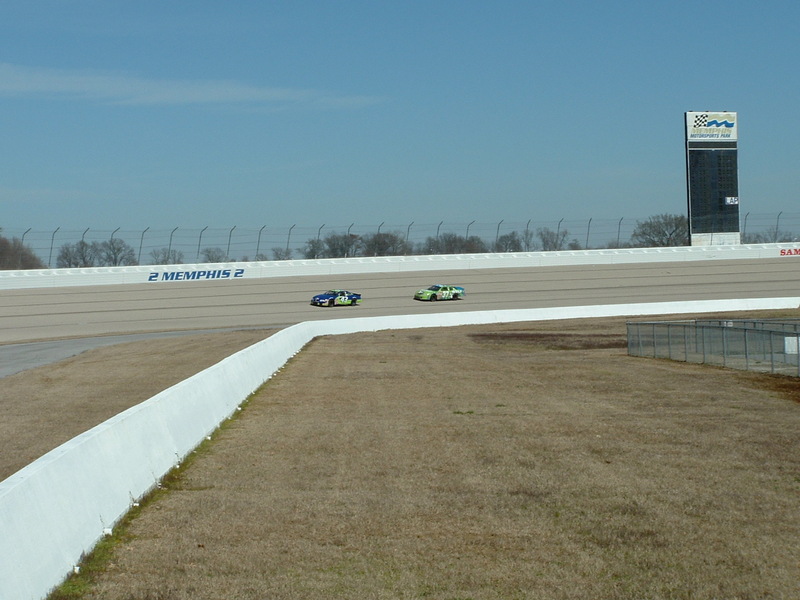 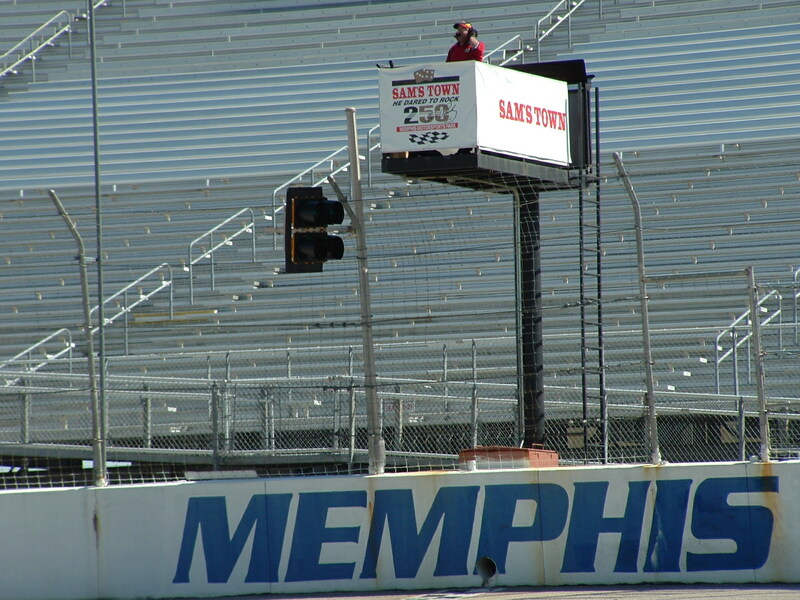 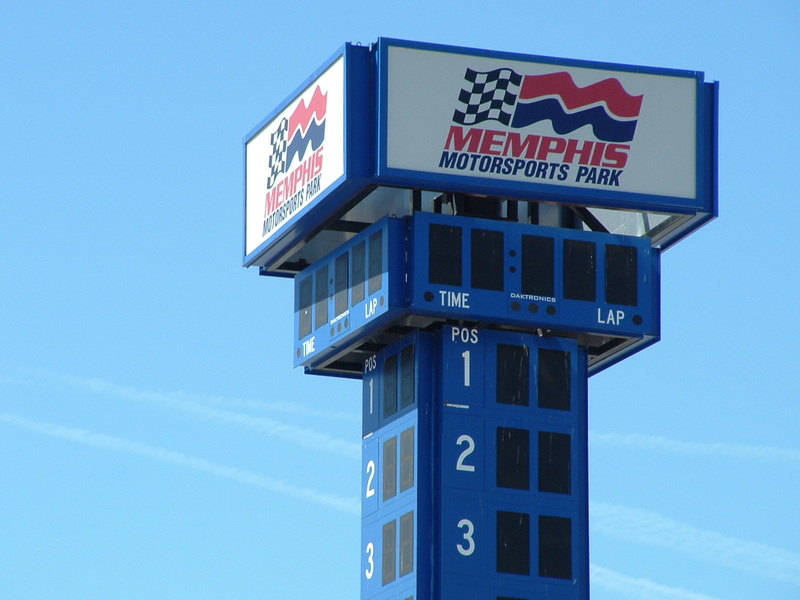 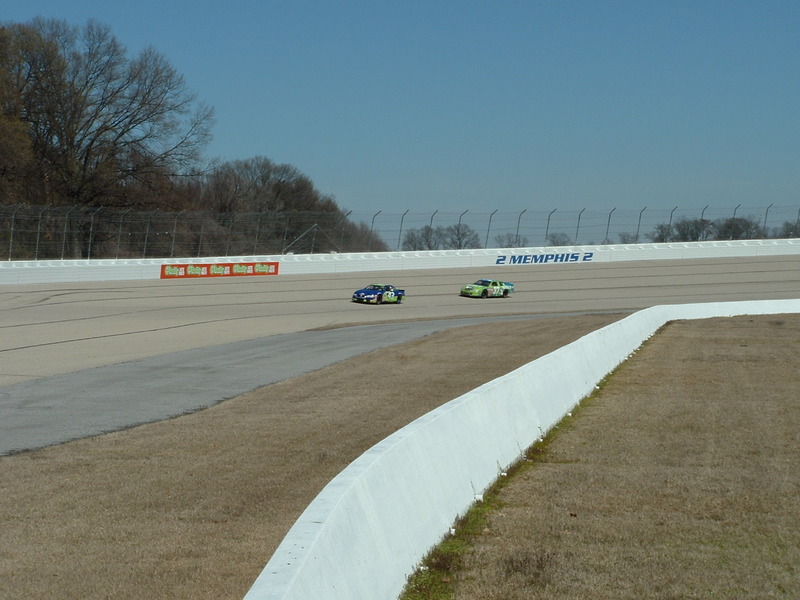 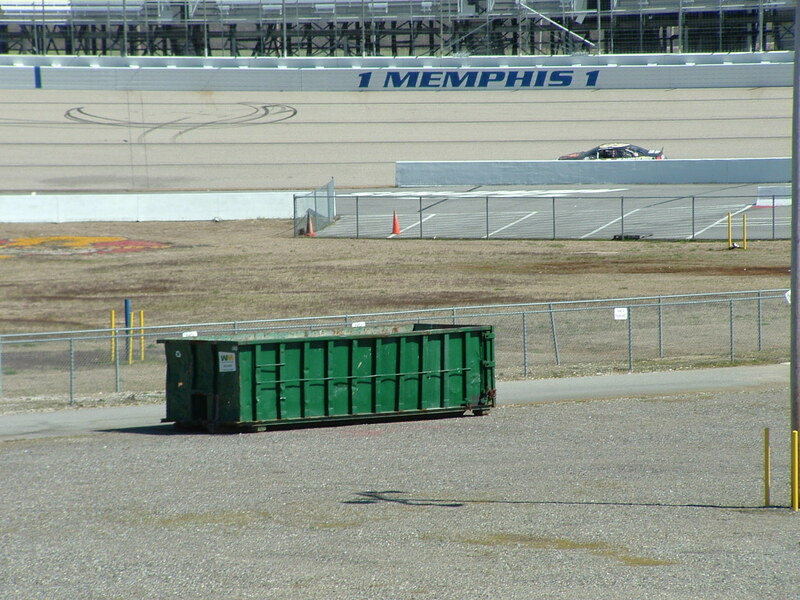 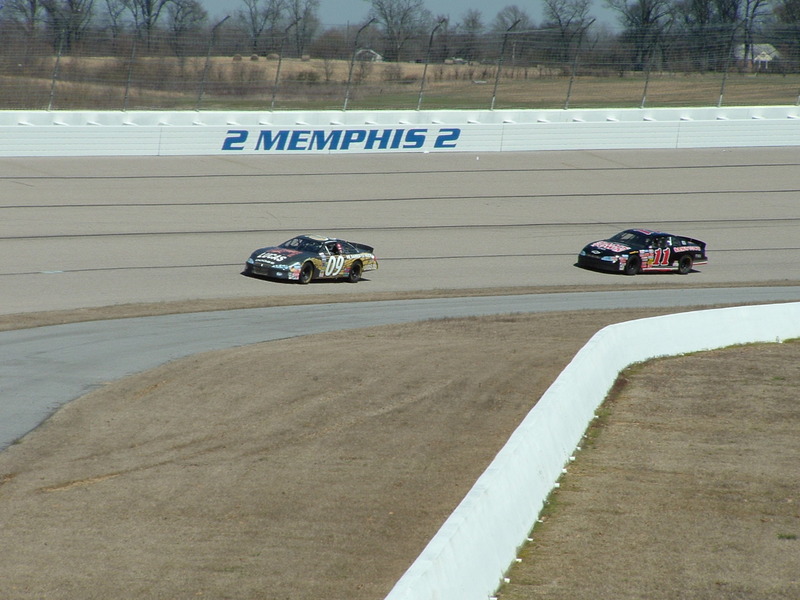 for taking all the photos you see on this page, with the exception of the top and bottom photos that were taken by Phil Bowden of Motorsports Pictures of Memphis. 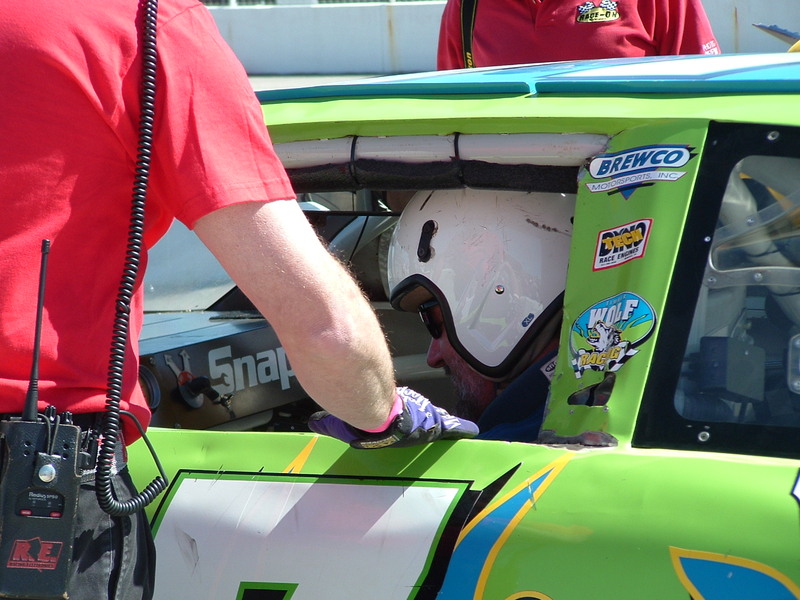 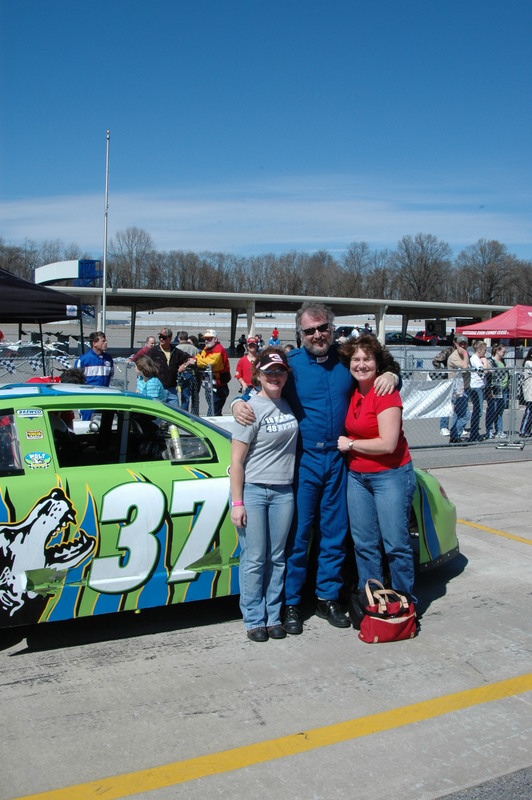 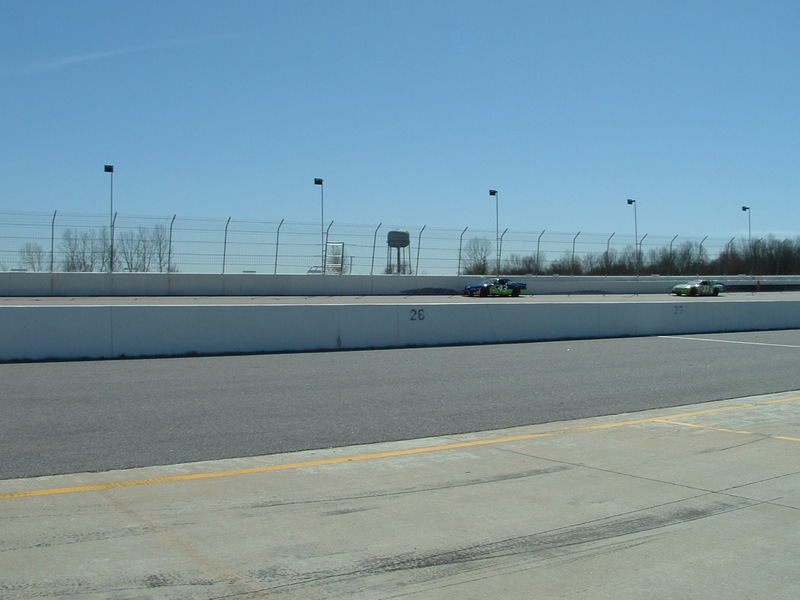 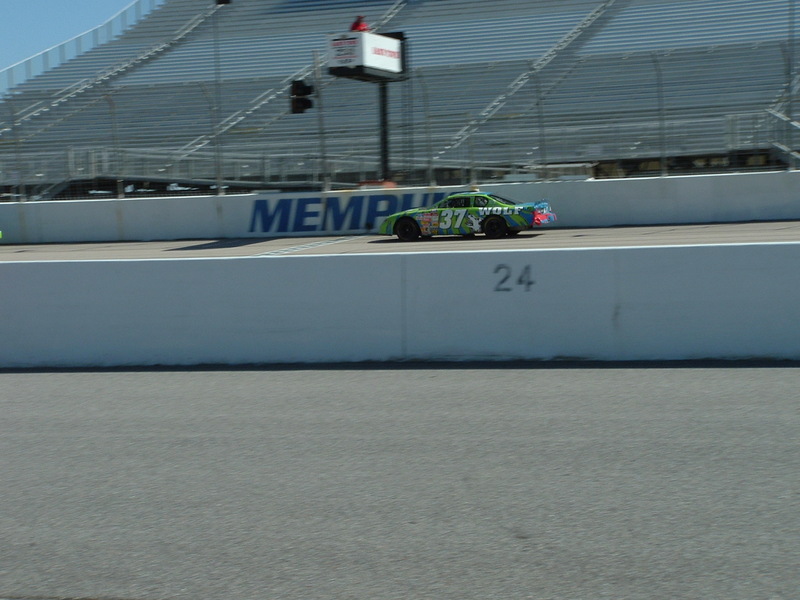 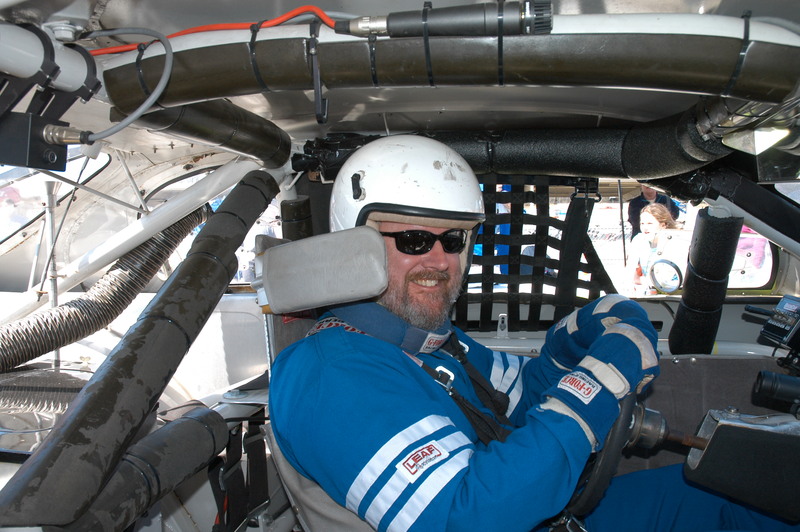 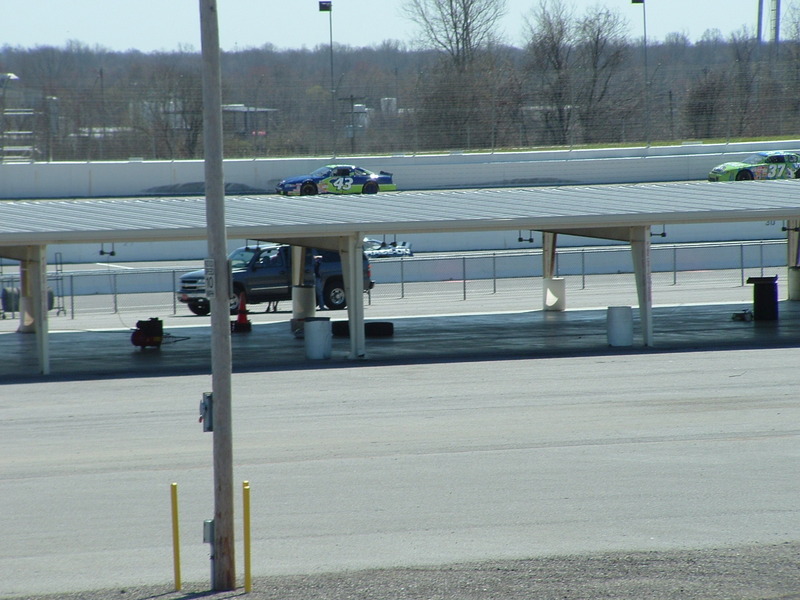 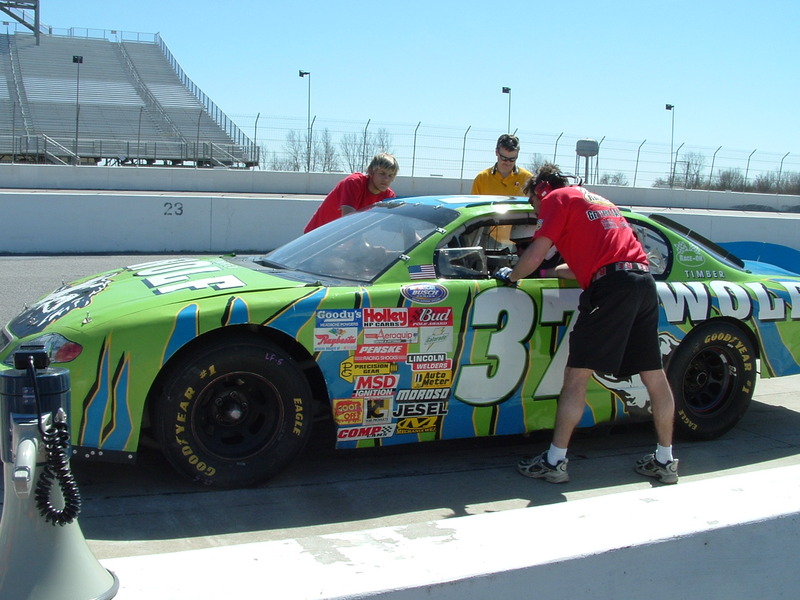 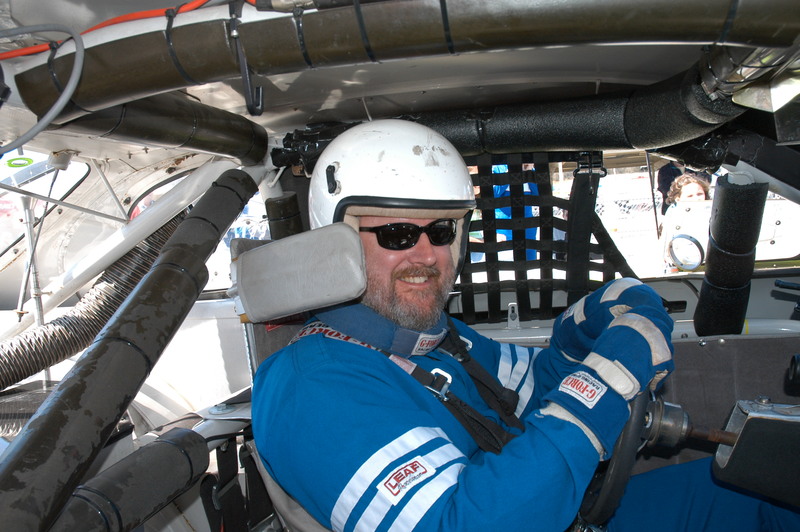 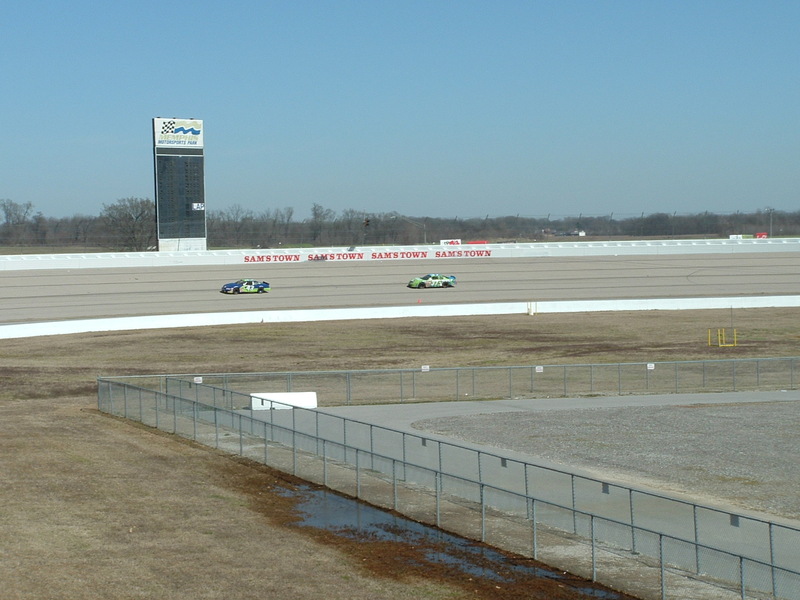 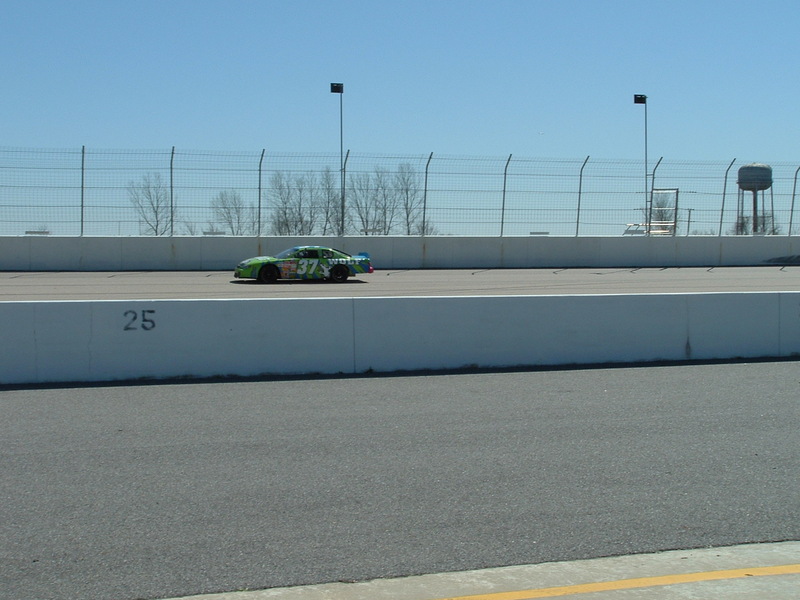 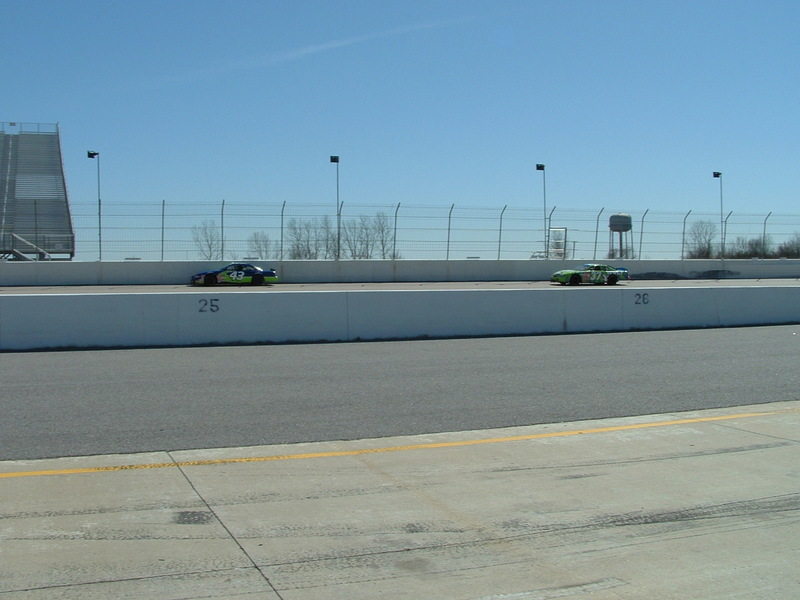 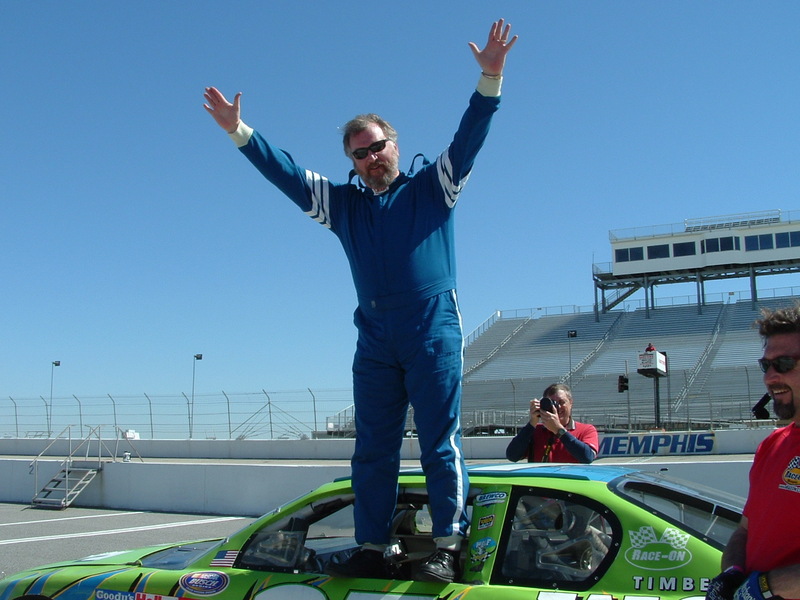 Sheryl and I did a ride along at the Richard Petty Driving Experience at Daytona a few years ago and we also while at the North Carolina Motor Speedway in Rockingham we enjoyed a Buck Backer Racing School Ride along. 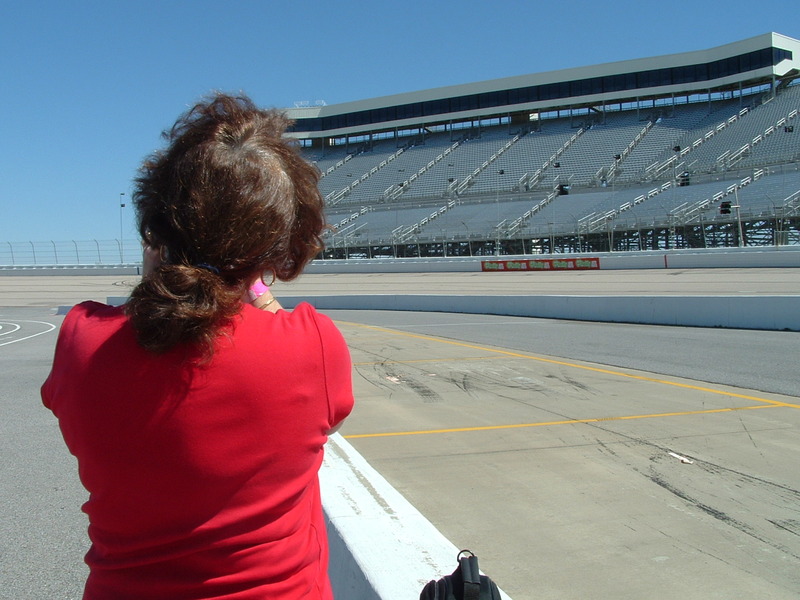 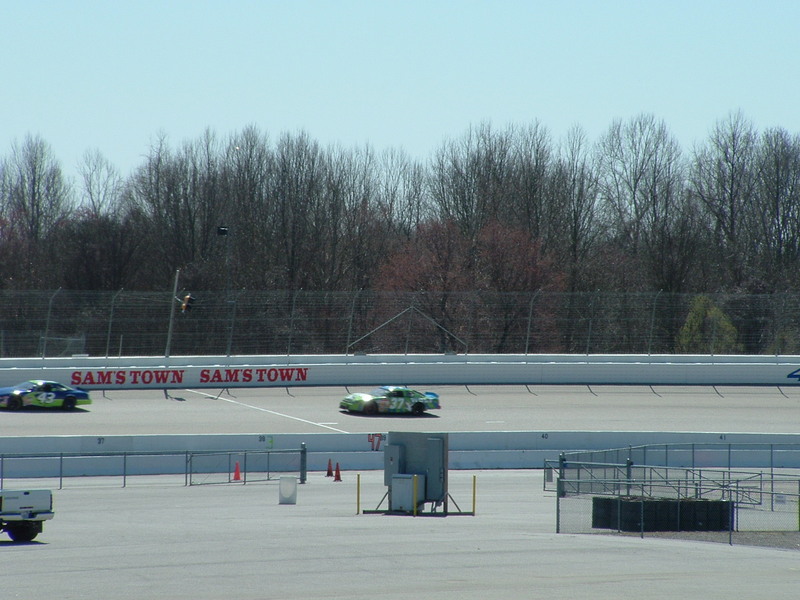 Shaunna did a Fast Track Racing Ride along at Lowe's MotorSpeedway in Charlotte, but nothing compared to the thrill of the Race-On Driving Experience. 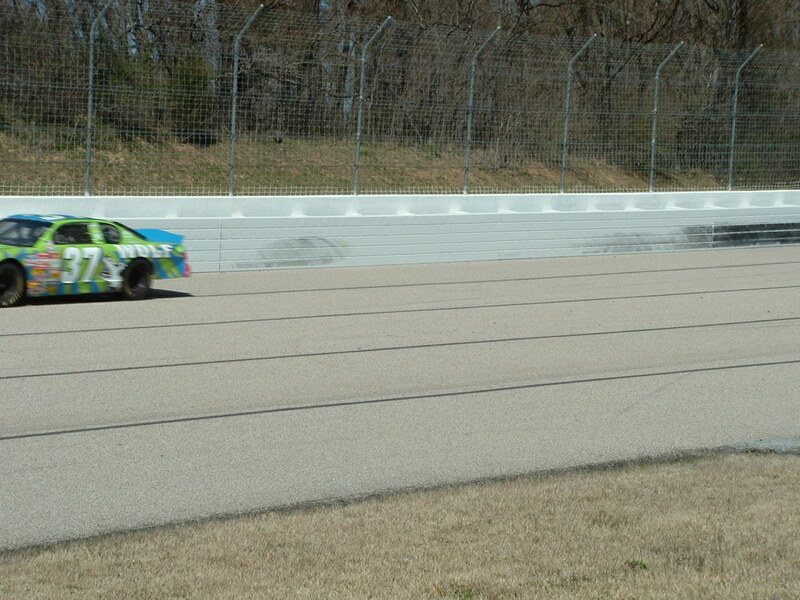 Go drive the car yourself. 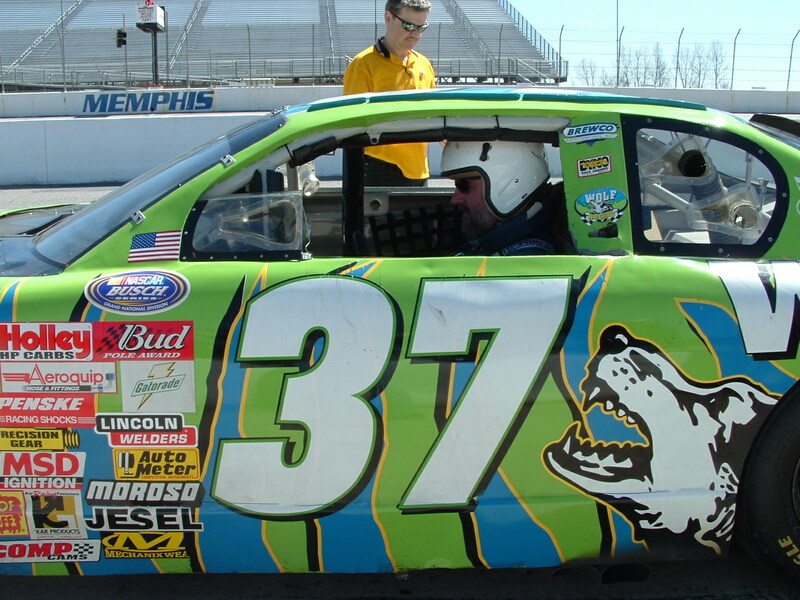 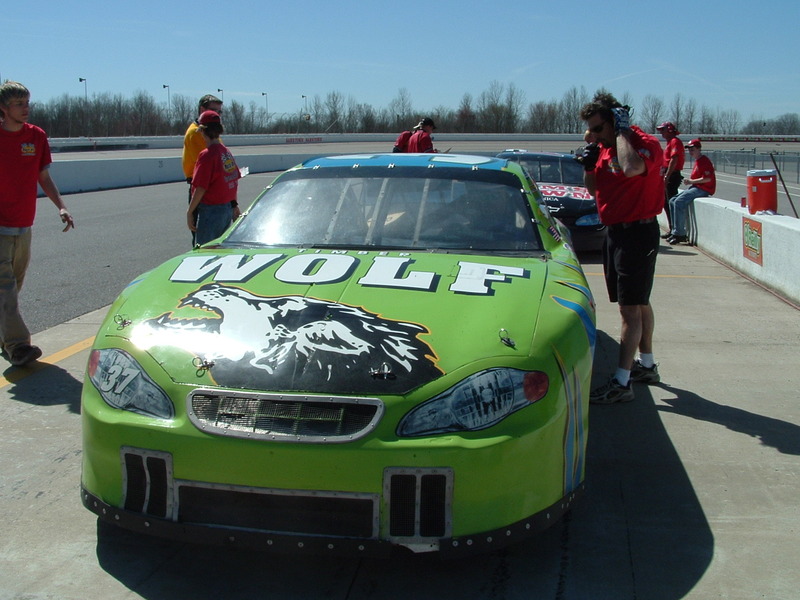 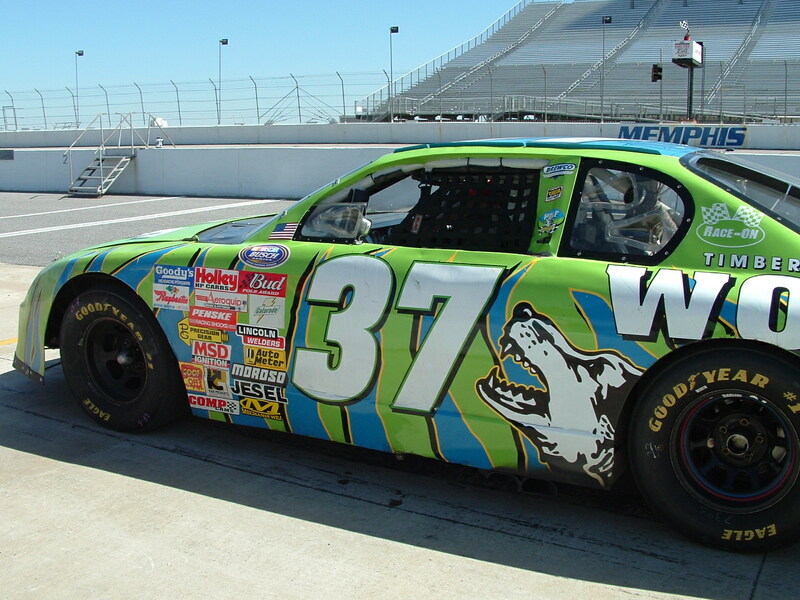 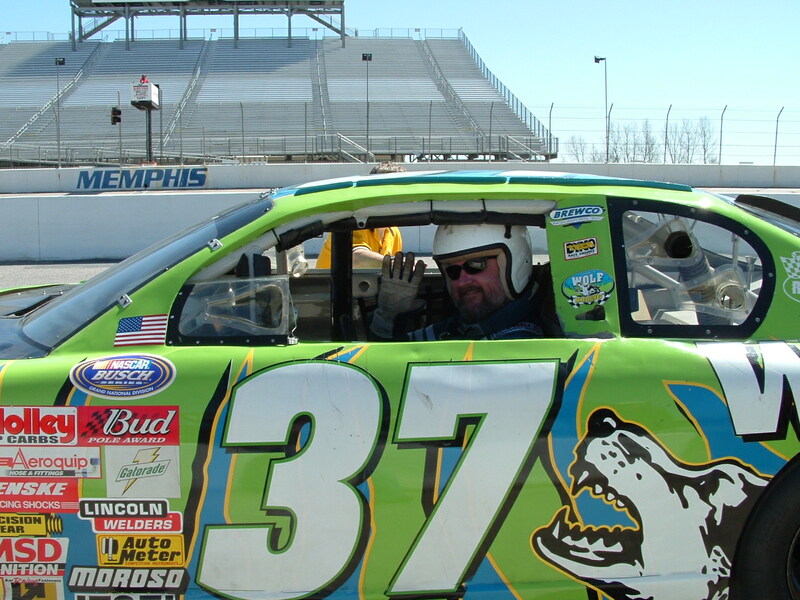 As you can see, I drove the #37 Timber Wolf Chevrolet Monte Carlo. 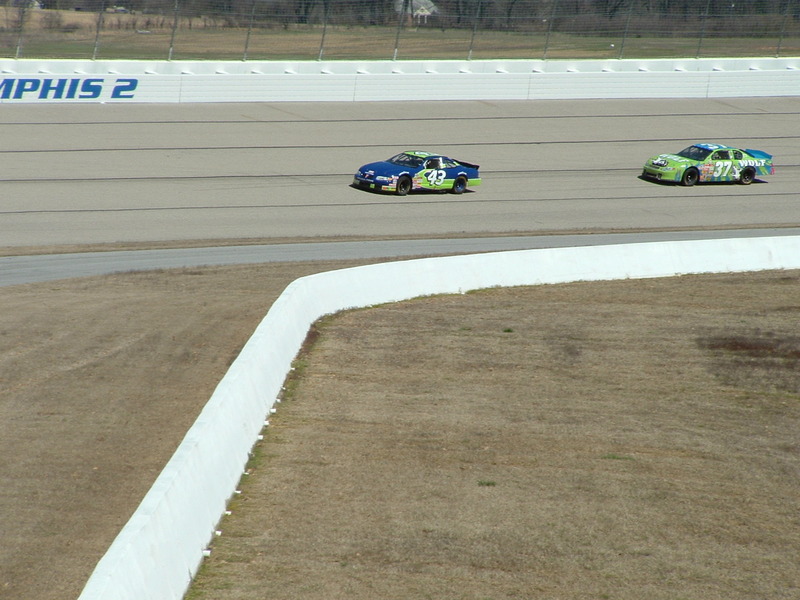 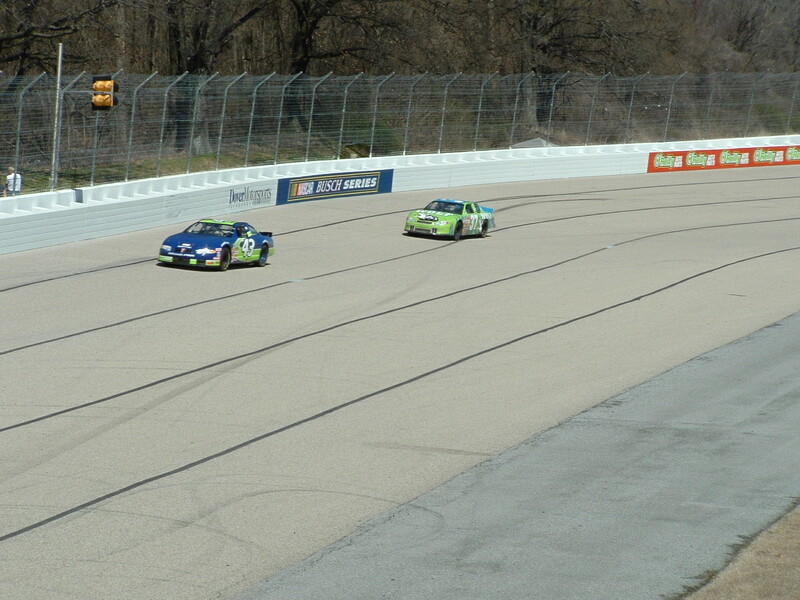 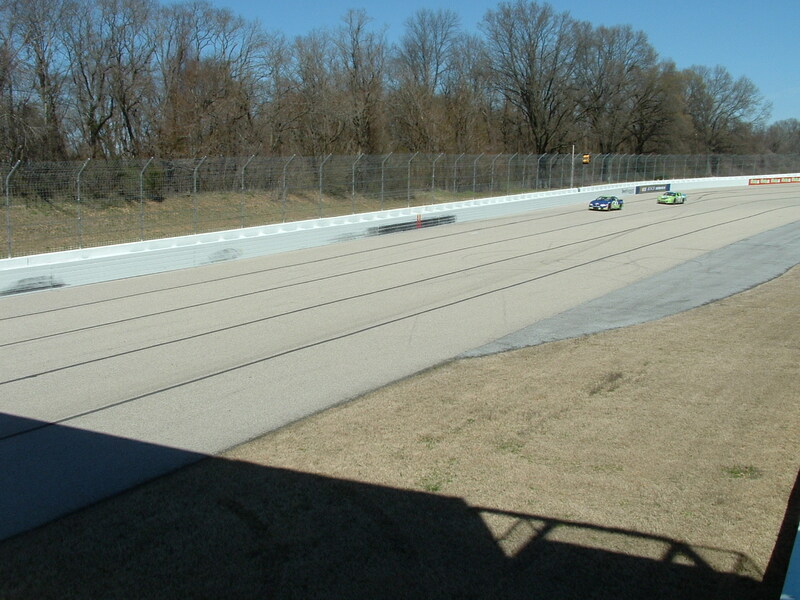 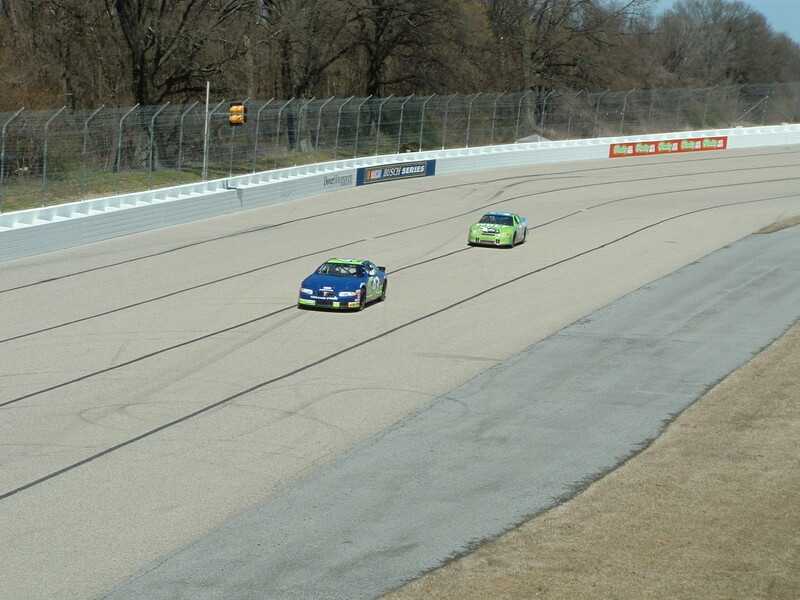 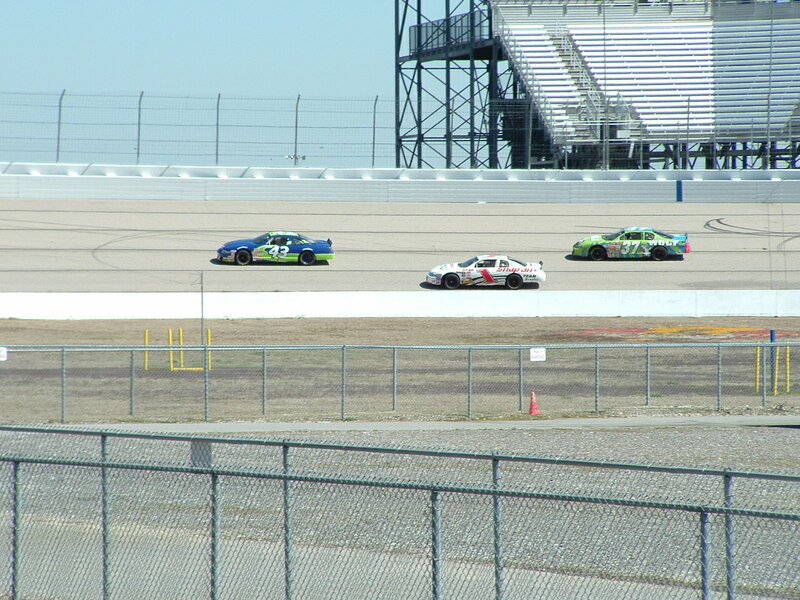 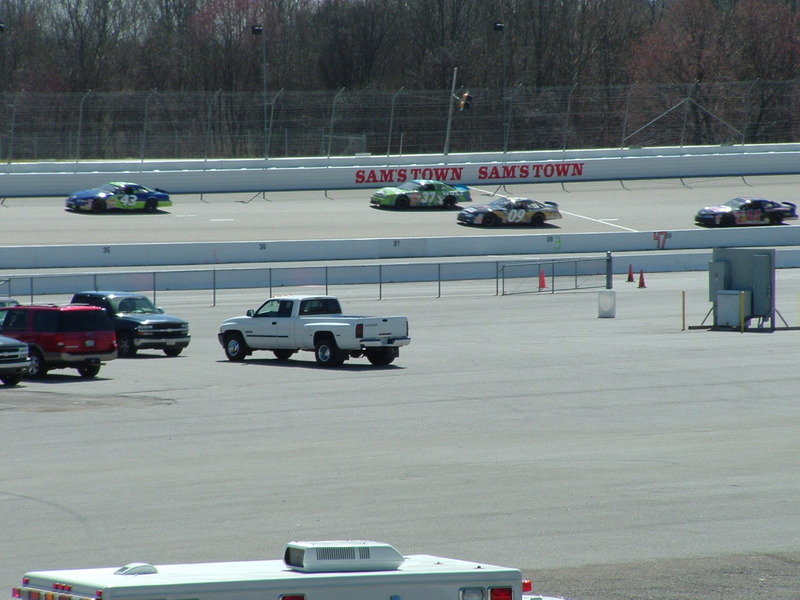 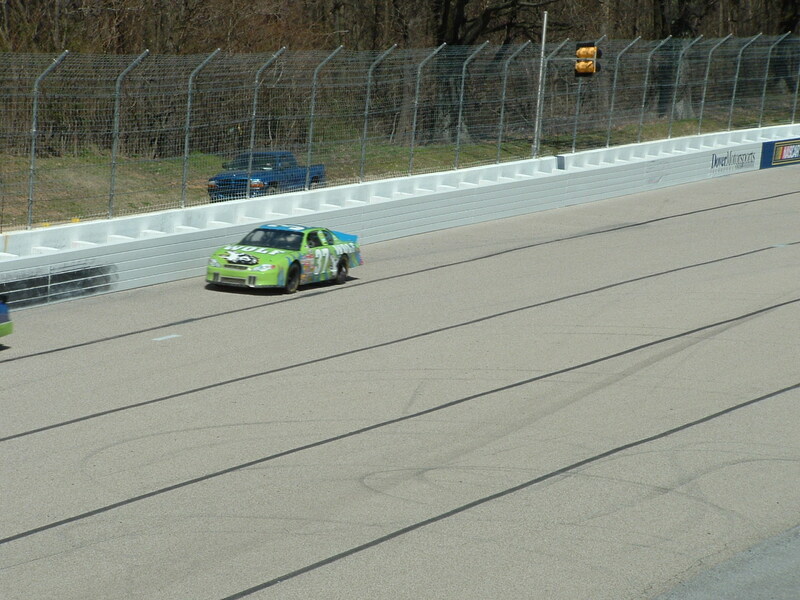 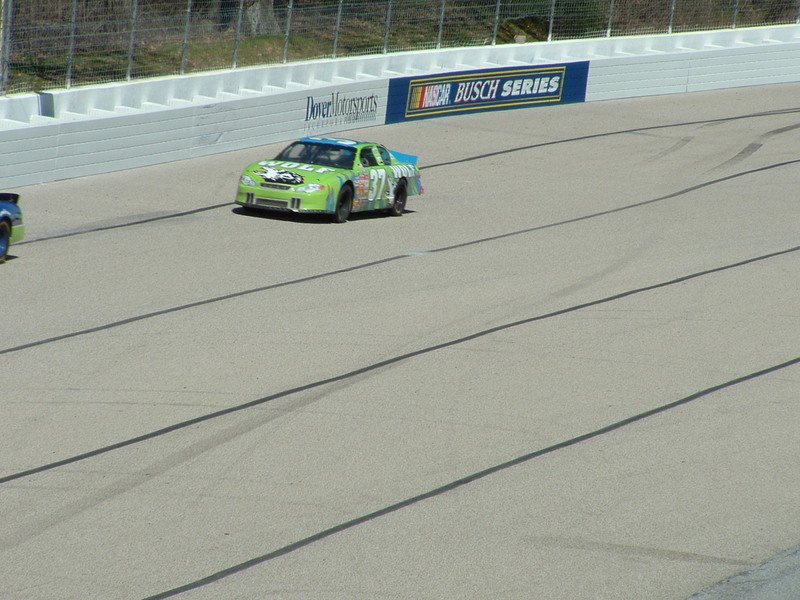 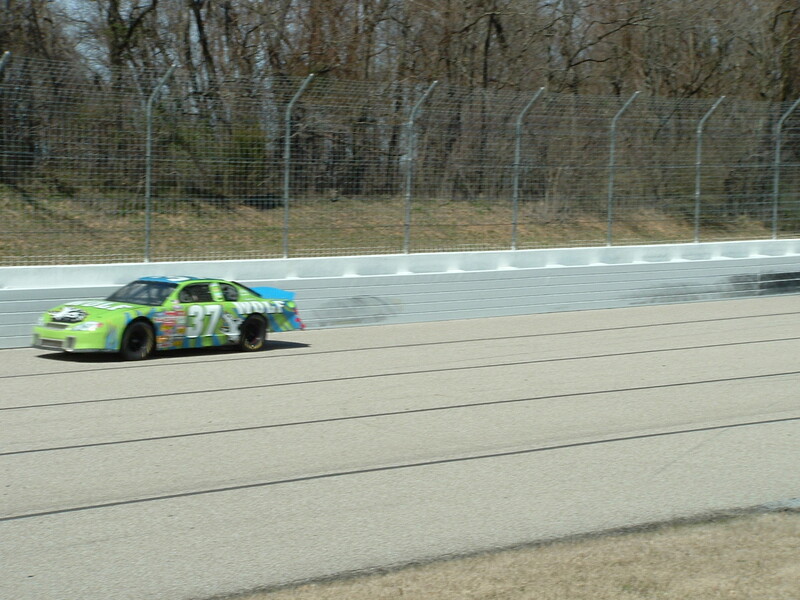 These cars are actual race cars that were driven in the NASCAR Busch Series. 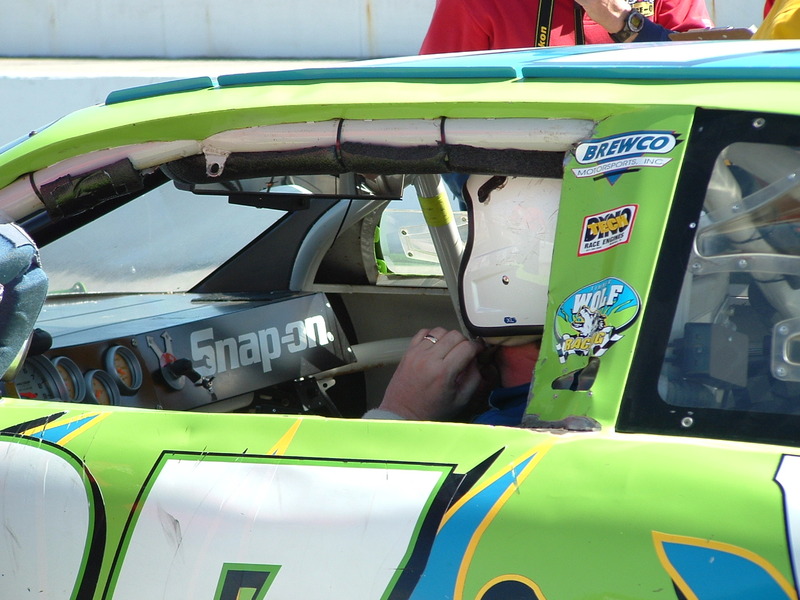 The cars also have cameras mounted inside just like the ones you would see on in a NASCAR Race telecast. 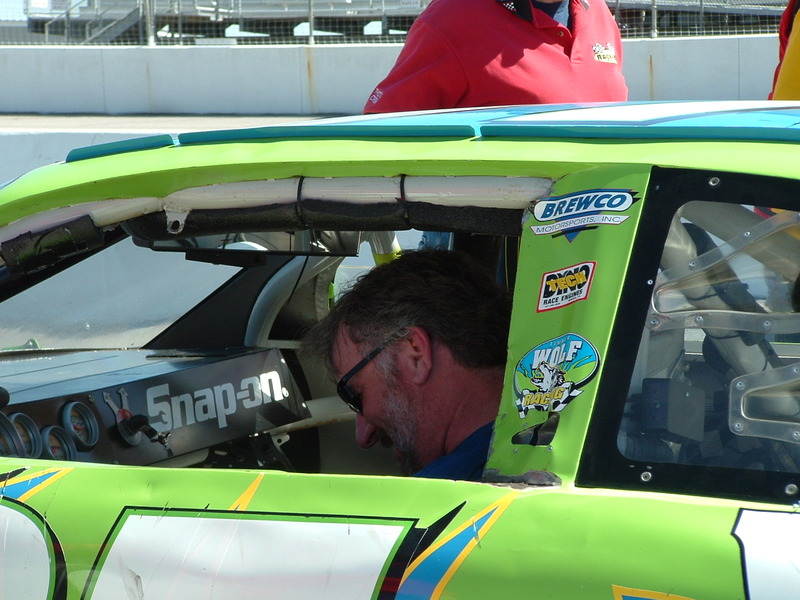 During the 1994 and 1995 seasons I had an opportunity to work with NASCAR Busch Series Legend Tommy Houston. 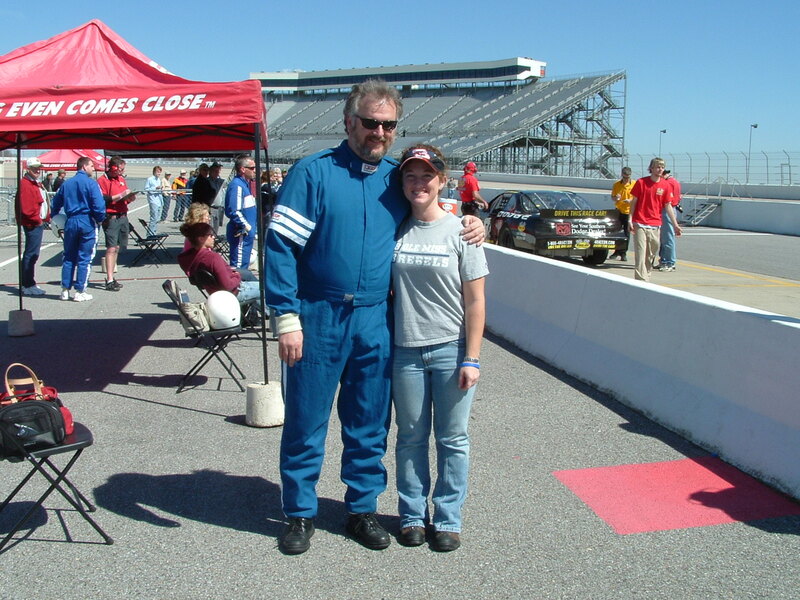 CLICK HERE to see some photos from those days of darker hair and smaller waistlines. 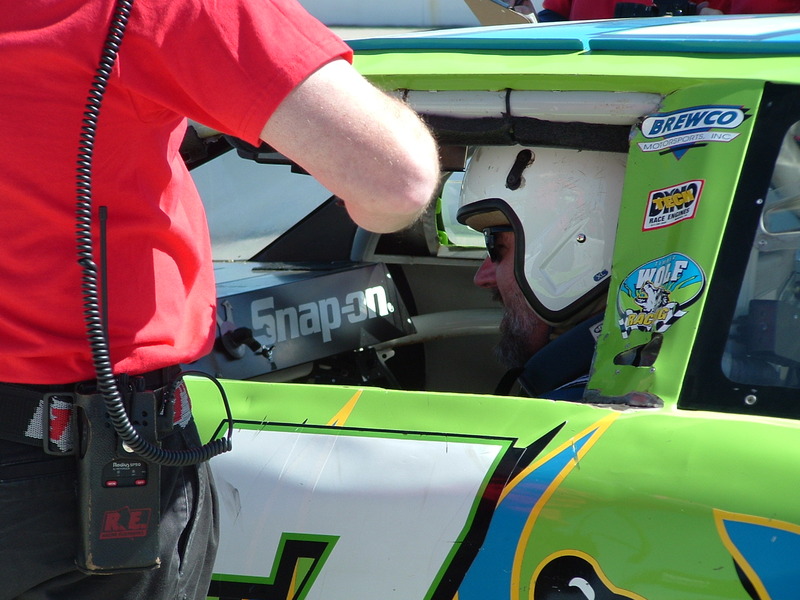 To view a segment of the in car camera footage CLICK HERE. 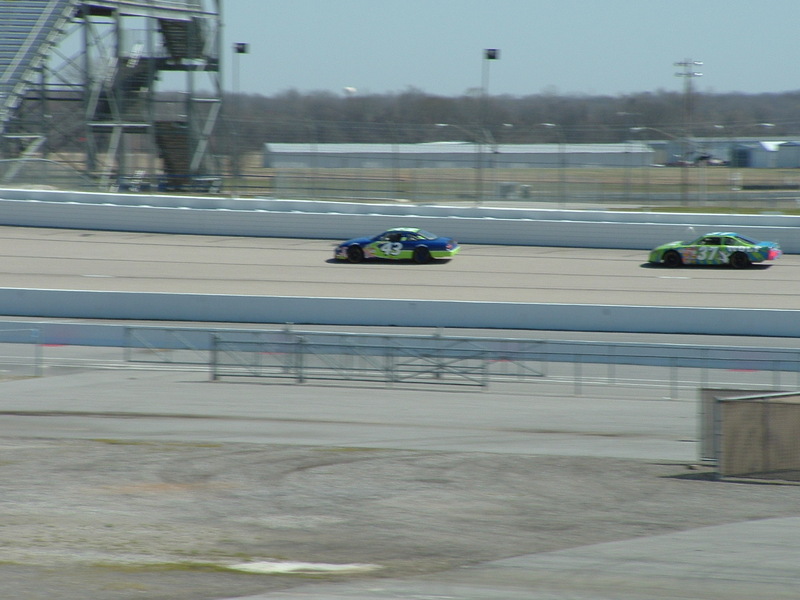 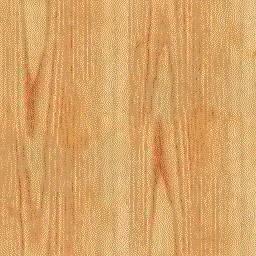 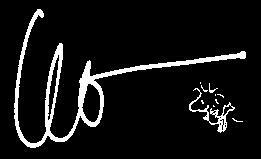 The video clip is in .MPEG format and is a little over 3 minutes long and 42mb in size so be patient and allow the entire video to download before you start to play it or it will be very choppy. 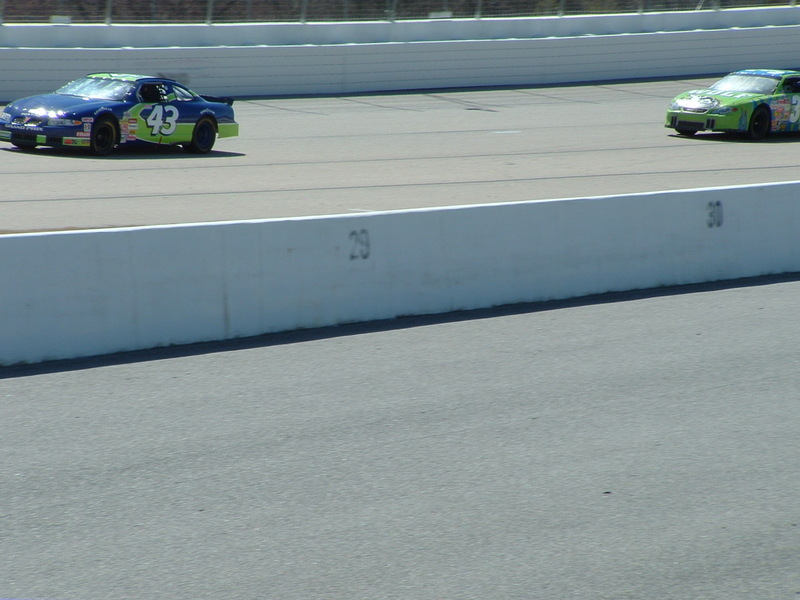 Once your media player starts to play press the pause key and allow a few minutes for the download to complete. 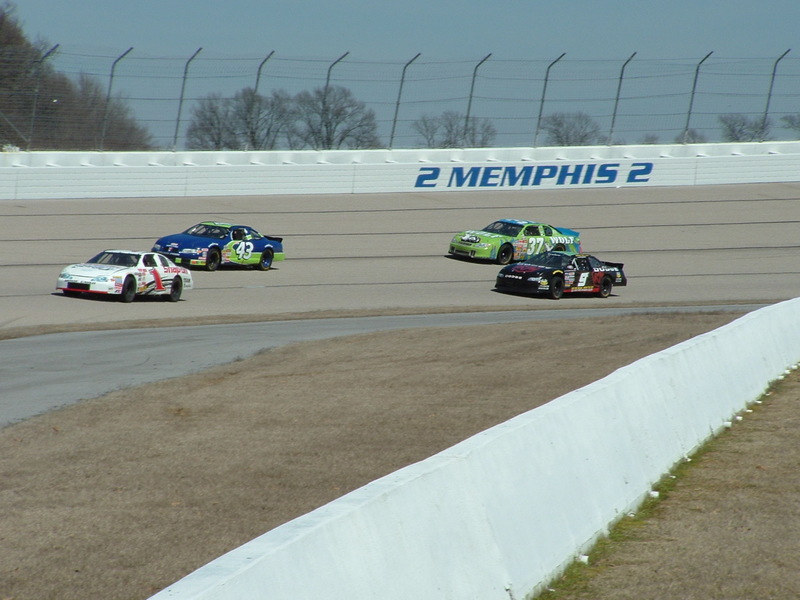 If you would rather download a compressed copy and view it later, CLICK HERE.